My Summary of Race 1 to 4 for The Performance Series 2016 | JustRunLah! As the 2016 draws close to an end, the date for my final run event is fast approaching. This year, my final run event is The Performance Series’ Race 05 which is going to be held at Kranji Countryside. Looking back, I have never regretted joining The Performance Series (TPS) runs. The experience for each race is so unique and different. 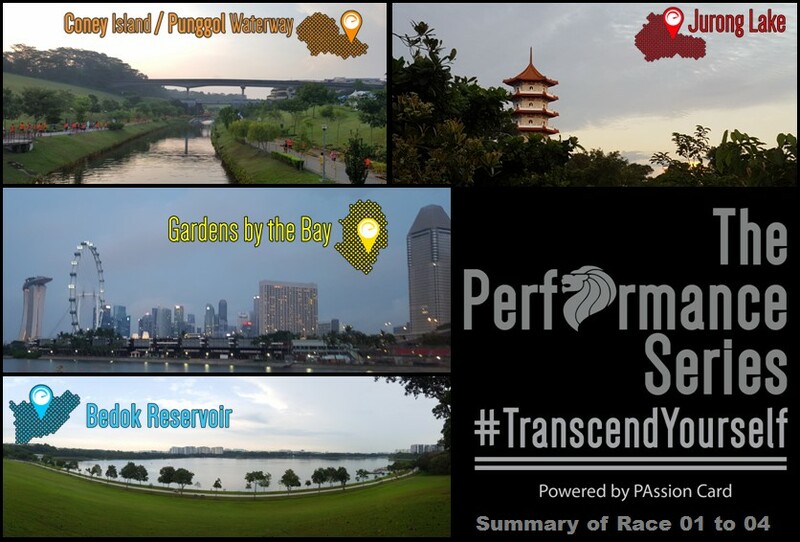 For those who are not familiar with TPS: TPS is a series of 5 races that promises participants a run through different and unique landscapes of Singapore, which include islands, lakes, heartlands, reservoirs and farms. Each race promises a unique running experience and so far from my experience, it has certainly met that objective! TPS was created by runners for runners and each race has 3 different categories: 2.5 km, 5 km and 10 km. This is to encourage runners at all levels to join in the national movement of running and at the same time help promote a running culture in Singapore and also to empower individuals to take ownership of their health. Cool Finisher Tee – Race 01 Finisher Tee has got to be my favourite because of the colour combination (Black & Orange)! The feel of peacefulness and tranquility of Jurong Lake during the run was super relaxing and makes the workout a very nice one. It was also interesting seeing the different pagodas along the route. Nice change of place for race entry pack collection (REPC) at the Singapore Sports Hub library, which was held in conjunction with National Day and we found extra goodies in our goodie bag! The most interesting thing for Race 03 was seeing a family of otters when I was heading towards the FINISH line. This is definitely something I would remember because they were soooo cute! One confused otter looks like it was wondering how to dash across the path as there were sooo many runners. I couldn’t help but smile when I saw them and that actually motivated me to run faster towards the FINISH line. Too bad I didn’t manage to take a photo of the otters. Fresh on my memory was how Singapore’s unpredictable rainy weather affected Race 04! I remember taking shelter at the bag deposit tent and that the organisers had no choice but to cancel the first wave. Luckily the second wave (in which I was participating) did not get cancelled and was postponed to take place together with wave 3. When it was time to start, the rain miraculously stopped and the cool weather was awesome for a run. 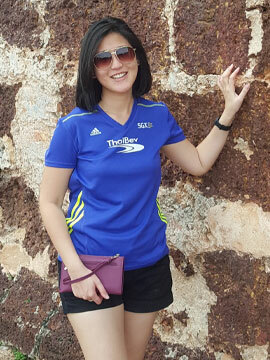 The main highlight of Race 04 had to be the awesome view of Bedok Reservoir from the top of a hill after scaling the last slope somewhere between the 8km and 9 km mark. The view was just amazing! Well, I hope you guys enjoyed reading this post. I look forward to seeing you at Race 05! Do say ‘hi’ if you see me 🙂 Let’s finish 2016 strong!